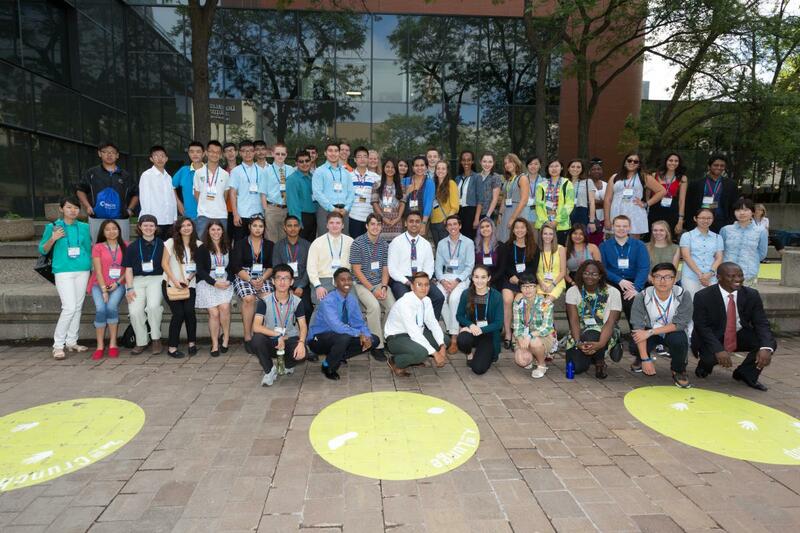 Over 60 high school students from the U.S. and China convened at the 59th Sister Cities International Annual Conference Youth Leadership Summit in Minneapolis, Minnesota. 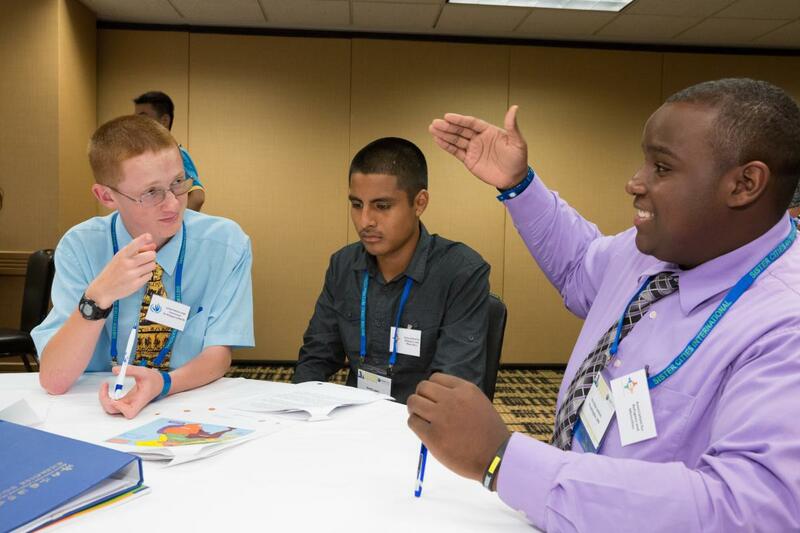 As citizen diplomacy knows no age, the Summit is specifically designed to engage youth around the important role diplomacy plays in helping to create and maintain world peace. The first day of the summit kicked off with a taste of college life as Student participants unpacked their luggage at the University of Minnesota (UMN) residence halls. After dining on campus, participants geared up for their first round of orientation activities where they learned about the history of Sister Cities International and the important role the institution has played in the history of diplomacy before engaging in fun ice breakers and global trivia. “I loved the college-like setting and how quickly we were all able to bond due to this,” said one student residing in the UMN dorms. The students gathered for a city-wide kick off outside the beautiful Landscape of Orchestra Hall for and opening ceremony with Minnesota Mayor Hodges and parade of flags which represented over 120 countries. After the opening ceremony, participants attended Annual Conference’s Keynote Luncheon where they were able to engage with and ask questions to the conference luncheon Keynote, Governor Jesse Venture, 38th Governor of Minnesota and Former Professional Wrestler. The highlight of the summit for most was the unique opportunity to partake in a U.S. Department of State Diplomatic Simulation organized by the U.S. Diplomacy Center. The simulation was a real life situational experience where the youth participants each had a role to play in order to solve a real-world problem of helping aid a persecuted minority group. Stakeholders had to find common ground to prevent a further crisis and a public outcry against a “terrible” refugee situation. By participating in the simulation, delegates assumed the roles of diplomats and experienced firsthand the challenges and choices their roles offered. Students learned that diplomacy can bring great rewards but only with patience, perseverance and cooperation. “The simulation, of course, was the main opportunity to learn about diplomacy and challenge myself intellectually. It was unlike anything I had done in school, and it made me feel realize that progress really can be made if people are willing to communicate and be patient,” one student remarked. “The simulation was by far my favorite activity because it broke down barriers between everyone and it easily brought us all together by forcing us to work in teams and create agreeable solutions to the impending issue. The activity was exciting and challenging, which made it really enjoyable. Through the simulation I was able to get a better idea of how the Department of State works and I’m glad that I now have more knowledge on international affairs,” another student said. 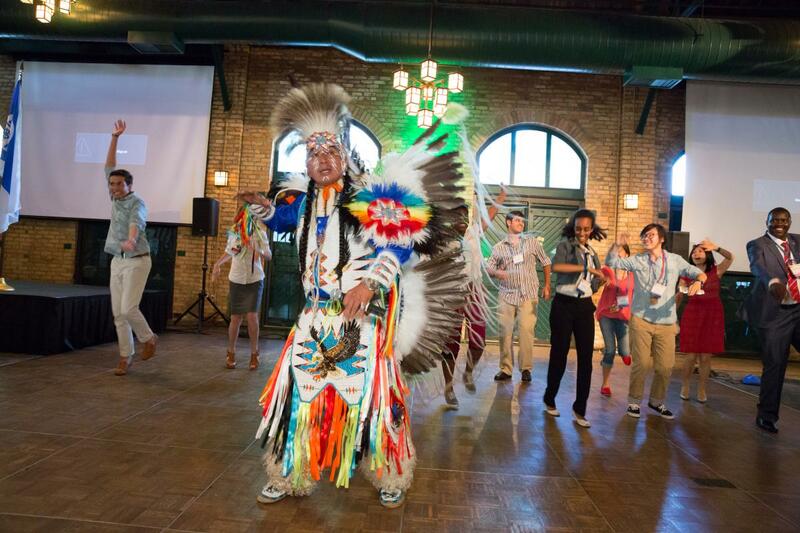 Following the simulation, the participants headed over to the scenic City of Minneapolis Welcome Reception at Nicollet Island Pavilion where they were treated to live entertainment by the cities diaspora groups and tasty food that the great city is famous for. On Saturday morning, youth participants attended the conference itself which featured a Foreign Diplomatic Corps Panel with representatives from the State Department as well as several other countries. Other highlights included a keynote presentation by Lufti Haziri, Mayor of Gjilan, Republic of Kosovo who was arrested and imprisoned under accusations by the Serb regime for leading Kosovo Liberation Army activities. After international intervention on his behalf, he was released from prison and was eventually elected Mayor of Gjilan in 2000, thereby becoming the youngest mayor ever elected in Kosovo and Europe. Mr. Haziri explained to students that the way in which you deal with struggles and challenges defines who you are. He also said that bridging generations is key to building a prosperous future for ourselves and our communities. “Lufti Haziri’s speech was engaging and inspiring, and I was able to learn more about the situation in Kosovo, of which I knew very little about,” said one student. In the afternoon, youth participants attended the Annual Conference’s Keynote Luncheon remarks by Rudy Maxa, Host and Executive Producer of “Rudy Maxa’s World.” The students also had the opportunity to participate in cultural events held in conjunction with President Nelson Mandela International Day at the Sabathani Community Center. 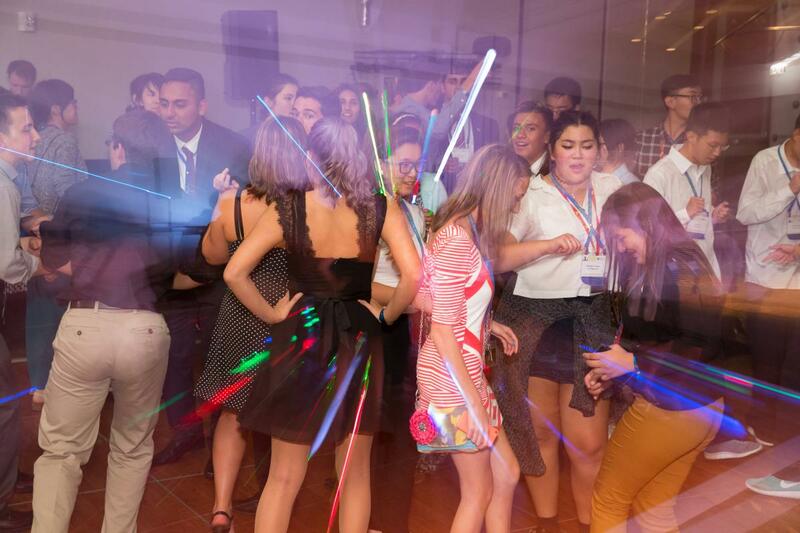 “I enjoyed the opportunities to interact, network, and connect with other youths as well as the chance to gain a better understanding of diplomacy,” a student remarked. The Summit culminated with a final simulation intended to explore possible solutions to the refugee crisis. Students presented final projects on the resolutions they proposed as well as what they learned about themselves and the intricacies of diplomacy. The final projects illustrated the importance of international cooperation in tackling some of our most pressing global challenges. Following the final simulation, students attended the Lou Wozar Annual Awards Dinner and Ceremony where they witnessed firsthand the hard work and contributions that various sister city programs across the U.S. have accomplished. “I definitely plan on staying involved. I love dealing with international affairs and knowing about cities around the world in different countries, not just my own,” said a student at the end of the Summit. 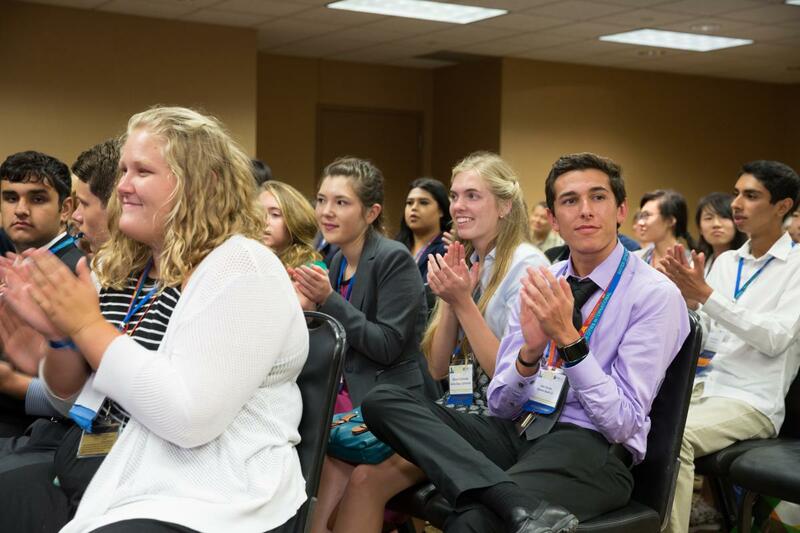 CLICK HERE to view photos from the 59th Annual Conference and Youth Leadership Summit. CLICK HERE to read a first-hand report and testimonial from the SoCal Sister Cities Youth Representative. 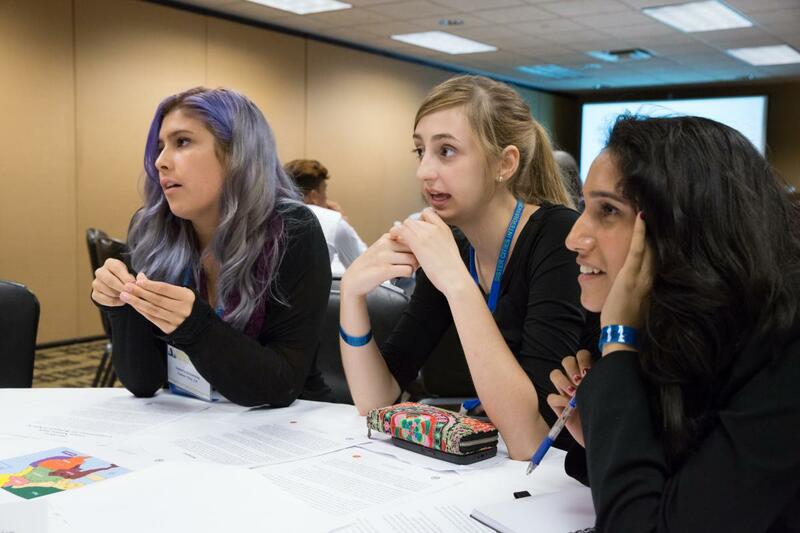 No Replies to "Students Solve the Refugee Crisis: 2015 Youth Leadership Summit"